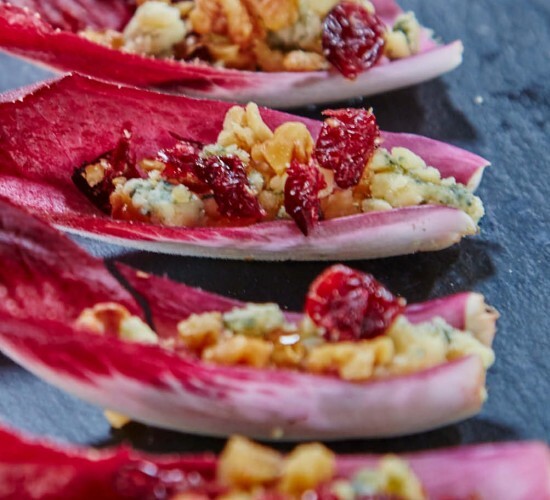 These delicate red chicory canapés are so easy to assemble, yet look vibrant and impressive and pack a punch of flavour. Lay out the chicory leaves on a platter or board and crumble in a teaspoon each of the blue cheese, crushed walnuts and dried cranberries per leaf. Drizzle with olive oil and season with sea salt and black pepper to finish.